Yoshimi Arts is pleased to announce the exhibition "Takehiro Terabayashi 2008-2014" at our gallery. 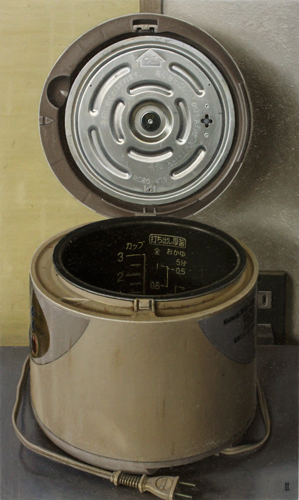 In the 2011 and 2013 "LIFE" exhibitions at Yoshimi Arts, Takehiro Terabayashi created photorealistic oil paintings of the familiar objects and surroundings in his old apartment in Hiroshima. The oil painting technique was invented in The Netherlands in the 15th century, and used to immortalize church leaders and the ruling class. In the 17th century Rembrandt and Vermeer began painting portraits and interior scenes which weren't religious or of royalty or nobility. The Paintings of Takehiro Terabayashi are inspired by these works from the 15th and the 17th century. And it is also Terabayashi's intention to update Japanese oil painting in the tradition of modern painters such as Yuichi Takahashi and Ryusei Kishida. Currently, most painters use photographs of their subjects to produce their works, but Terabayashi paints in front of the real objects, consistently painting using his own eyes to keep a primary connection with the source. 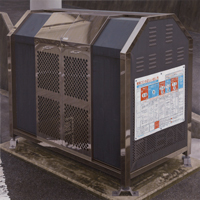 His painting style is in contrast to the common ways of production in this digital age. In a society consuming most things in a manner which seemed to follow an engineering principle, his artworks may feel like illusions, but only because the boundaries between semiology consumption and food, clothing and shelter have become ambiguous. Now, since we feel that after the Tohoku earthquake in 2011, the boundaries of society, nature or history were changed in Japan, we think this feeling toward his artworks is the reality of modern society. Many exhibitions in Tokyo, Nagoya, Osaka, Hiroshima, etc.